Spring has finally arrived, and with the warm weather on its way, many homeowners are thinking about outdoor living home improvement projects they want to accomplish in the spring and summer of 2015. One of the most popular projects is a deck and/or patio addition. 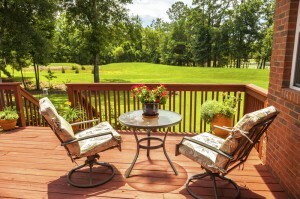 Decks and patios create a space outdoors where you can entertain guests, grill, eat, or just relax. One of the great things about these projects is that because they take place outside, they aren’t as disruptive as a kitchen or bathroom remodel, for example. 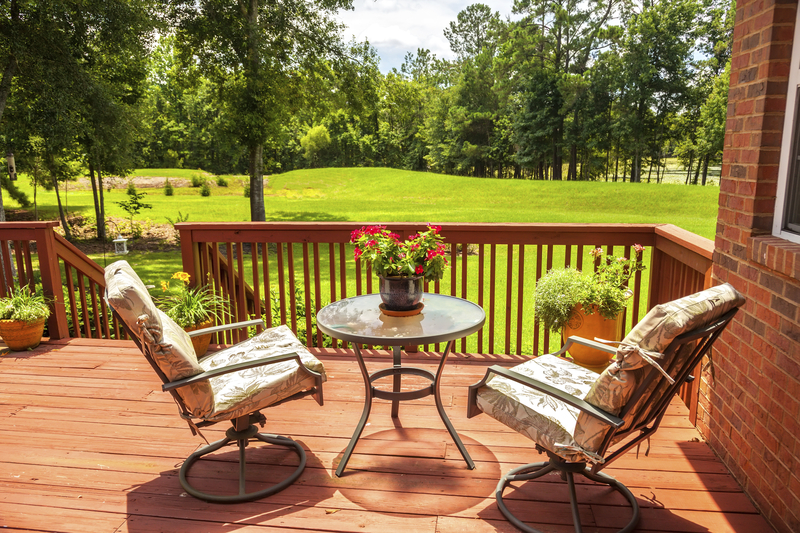 If you’re thinking about adding a deck or patio to your outdoor living setup this year, learn more about some of the potential projects you can take on in our blog. Concrete patios are a great and affordable way to create a level outdoor space for entertaining and relaxing. Stained concrete gives boring old gray concrete a colorful facelift, and stamped concrete goes one step further by imitating practically any stone or other hardscaping material with a combination of custom coloring and stamping. If you want to take the next step up from a concrete patio, consider a true stone or paver patio. Stones and pavers are both more expensive than concrete, but you can’t beat them in terms of durability. Many homeowners like the more natural look of true stone and the simplicity of pavers. While you can install these patios yourself, for best results it’s a good idea to hire an experienced contractor. The wood deck is the classic deck addition to any home. Wood decks are often elevated to join with the home so that you can walk from the first floor out onto the deck. It’s hard to beat the natural and beautiful look of a freshly stained wood deck. Plus, wood decks average an 80% return on your investment, according to Remodeling magazine. Composite decks are more expensive than wood decks, but they offer the benefits of additional strength and protection against moisture, insects, and rotting. Composites also require less maintenance than wood, which many homeowners enjoy. And at nearly 70%, this project gives you a nice ROI. This entry was posted on Thursday, March 26th, 2015	at 1:30 pm	. You can follow any responses to this entry through the RSS 2.0	feed. Both comments and pings are currently closed.